Our product range includes a wide range of bar and restaurant software, custom software for hospitals, doctor patient portal software, restaurant software, school software and pos retail software. Bar & Restaurant Software. The foodie365cloud is ready to use restaurant software for fine dining restaurants, take away and quick service restaurants, bar, clubs, banquet, and coffee shop. It is preferred by leading brands and is recommended by successful owners and managers of profitable restaurants and bars. Packaging Details: Benefits of Bar and restaurant software: - Detailed reports. - Faster checkout speed. - Accurate reports. - Fast facts. - Easy tracking of inventory. - Improve customer relationship. - Business reports. - Multiple payment types and customer accounts. To deal with every aspect of the hospital, we have successfully developed so many custom hospital automation and management systems that cover all the Modules – IPD, OPD, Patient Care, Patient Registration, Reports, Pharmacy, Billing and Account, Discharge and Room Booking. 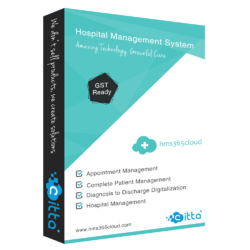 We have a team of skillful analysts, designers, and developers who can bring robust, reliable, secure and HITECH/ HIPPA compliance system that stands out your hospital distinctly among the competition. We have successfully developed a customized system for several clients with diversified requirements. It enriches our expertise and makes us more proficient. We here propose a doctor-patient handling, managing system that helps doctors in their work and also patients to book doctor appointments and view medical progress. The system allows doctors to manage their booking slots online. Patients are allowed to book empty slots online and those slots are reserved in their name. The system manages the appointment data for multiple doctors for various date and time. Packaging Details: Features of a Doctor-Patient portal: - Online access anytime, anywhere. View your health information electronically via a web browser or your mobile device. - Comfort of a secure environment. Your health information is posted to a highly secure data registry. - Your information and how you manage it. Review your personal medical record including clinical summary, conditions, medications and more. - View test and lab results. Review and update your health history and personal health record online. - Expedite appointment check-ins by completing and submitting forms to your doctor's office online. - Download, fax, and email select health information - immunization history, clinical summary, messages and more. - Send and receive messages from your doctor's office. - Receive reminders for appointment and follow-up care reminder via text and e-mail. This Restaurant POS software presents you with an intuitive dashboard that allows you to manage all your order types in a single view. This is in-house dining deliveries and pickup. The best flexibility this billing software offers you is the ability to define your own work-flow for your order management. You can track each order based on the work-flow you have defined and move it ahead in your work-flow based on the way you are running a business. Print your Sales Invoice & order slip like a document on two printers at the same time. Retail-Store Management Software with POS Billing, Inventory Management, Customer Loyalty Program, Financial Accounting, Payroll Management and Store Analytics. For retailers, who own a stand-alone retail store or a chain, Retail365cloud is ready-to-use Retail and POS software. Maintain finance of school is very difficult for the school also fees collection of the student is the most important responsibility of the school. With the help of school fee, collection software shiksha365cloud - school management easily collect student fees by filling in a single form. School fees collection software offering flawless fees collection task in a definite way. During admission time school can add or fill all the required details of the student which can be helpful to create various reports and also easy retrieval of the data as per requirement. Shiksha365cloud provides facility to print fees receipt during admission time or new semester time. Fees collection can be possible by cash or cheque both the way. With the help of Shiksha365cloud software, you can easily manage student fee collection and maintenance fees related data. Packaging Details: School software modules benefits : - Add Bank detail In Receipt - Bounce cheque details & Availability - Misc. Fees collection details in single click - Easily print Bank Slip and Payment Receipt - Available Cash and cheque Mode of payment - Reports generated to Day/Week/Month/Year wise. - All the Fees collection task is complete in a single step. - Shiksha365cloud is a Safe and secure way of fees collection. - Additional fees details given accurately in fees collection section. - Fees concession procedure for particular student In Different fees Head.